Superior historical development and investment opportunity in the center of Lexington, SC's busiest and vibrant business district. Surrounded by new and existing businesses, amenities, and adjacent to a planned 100+ room hotel site. Rare on-site private parking on the rear of this 1.3 acre block. 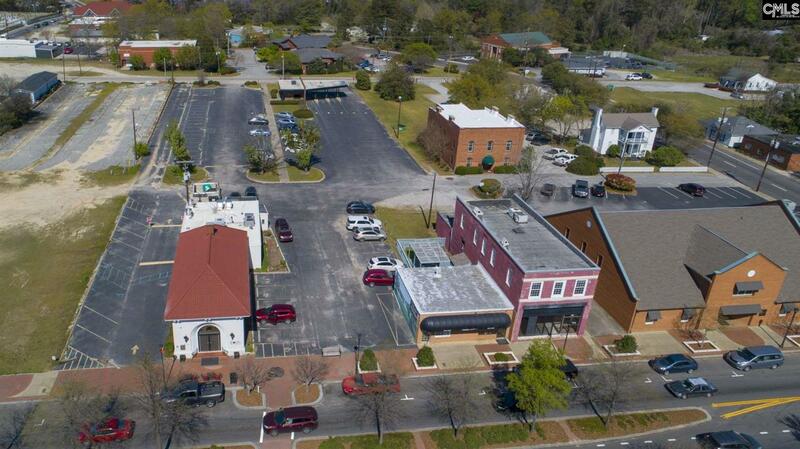 4 existing buildings consisting of a historically registered free-standing restaurant, iconic jewelry store, former bank drive through, and a 2 story historic building that is primed for the new owner to expose it's potential. Tax credit incentives available. Current lease income streams available to qualified buyers. This landmark property is poised to become a successful legacy project and serve a higher and better use for all of Lexington's residents. Ideal for high traffic retail and restaurant space with the capability to offer rooftop bar seating overlooking Main Street.